From coffee roasters to chocolates, sauces, candles and soaps, these products have authentic, homegrown stories. In addition to homegrown products, these local company’s support one another by collaborating in ingredient use like Speach Family Candy incorporating Recess Coffee in their brittles. When you bring a piece of Upstate New York home with you, you’re supporting our locals, jobs and the entire community. Plus, you’re sharing your Central NY experience with your loved ones. Curated and crafted in the Salt City by a father and daughter duo, a love for experimenting in the kitchen led to this spin on salts. Spice up your cooking with one of their flavored salts like the Espresso or Lemon Rose Sea Salts or try the Rosemary Sea Salt Soap or Candle. 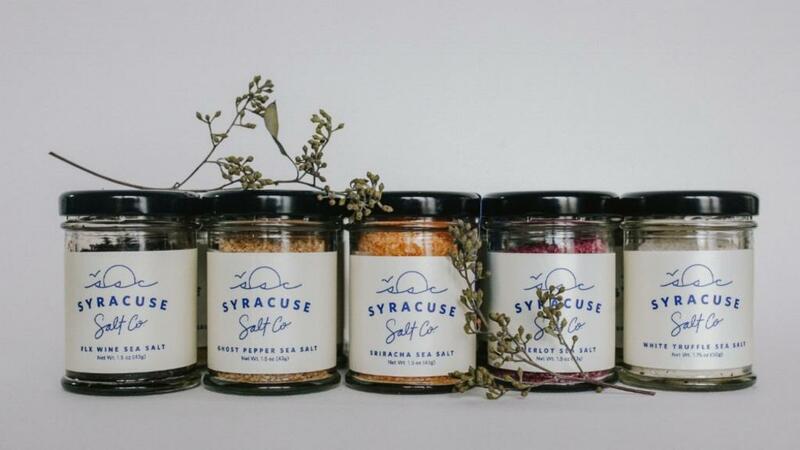 Syracuse Salt Co. products can be found online or at shops throughout the region including Half Moon Bakery, Teaselwood, Witty Wicks and Syracuse Soapworks to name a few. High quality maple syrup tapped and bottled right in Central New York, Dutch Hill produces a range of maple products from syrup to seasonings and even coffee. They even offer custom favors and gift baskets for your maple loving friends, family or employees. Hand poured, chemical free candles made locally with love. Witty Wicks has scents for every season from Georgia Peach to Egyptian Amber and the always favorite Pumpkin. In need of a gift for your favorite binge-watching friend? Grab one of their Game of Thrones or Outlander inspired calendars like Mother of Dragons or Clan Fraser. Nationally loved but Syracuse raised, the select spices in Hoffman’s German Style Mustard will please any hot dog lover. Their hot dogs and more can be found at stores around Upstate New York and are even served in stadiums as far as Washington D.C. and Tallahassee. Small batch hot sauces handcrafted with the freshest ingredients. Made with locally sourced ingredients and without GMO’s. Pick up a jar of their Classic Habanero Hot Sauce or keep it local with Heritage Hill Beer Mustard. Know any chocolate lovers? Gift them some Hot Pepper Dark Chocolate. 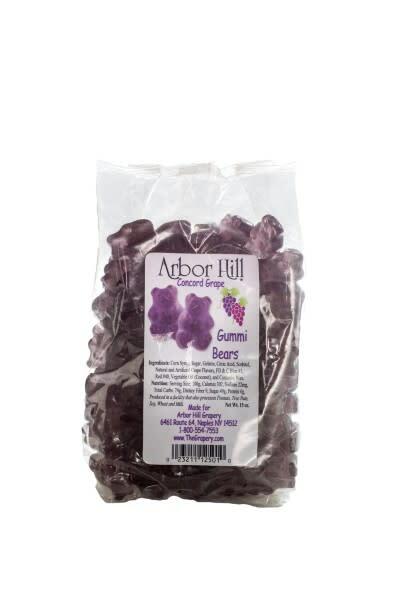 A surprising twist on a gummy bear with grapes from the vine, flavor expanding over generations.